This comprehensive resource is written to cover the Cambridge IGCSE ICT syllabus (0417). 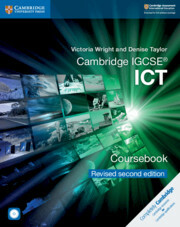 Cambridge IGCSE ICT Second Edition provides a complete course for developing and practising the skills required for students of the IGCSE ICT syllabus (0417). The coursebook contains detailed explanations of concepts, worked examples and exercises to consolidate knowledge. The accompanying CD-ROM contains the source files required to complete the practical tasks set in the chapters. Clear learning objectives at the beginning of each chapter help students to chart their progress. Practical exercises with accompanying source file for students to apply the skills they have learnt. 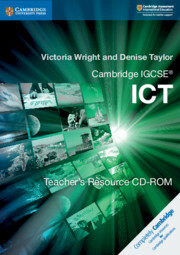 A comprehensive list of key terms appearing throughout the book to help learners understand and apply the correct terminology for ICT.